Resin Challenger Boxing Glove Trophy. This stunning award measures 230mm high. 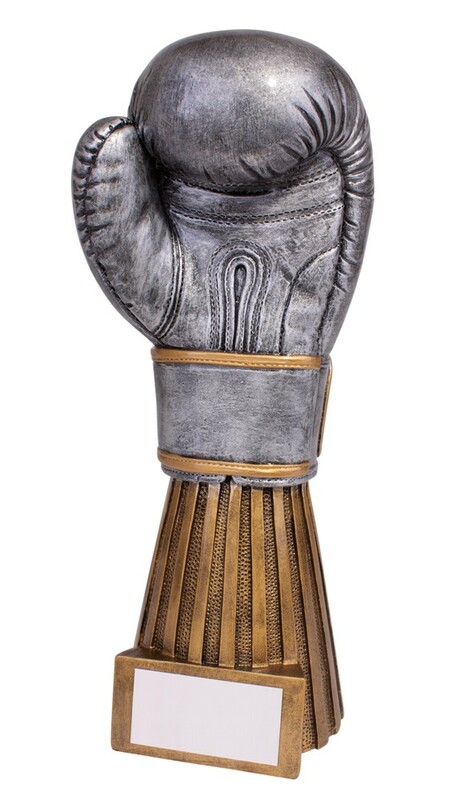 Resin boxing glove tower award, antique silver with gold detail. A great solid resin boxing award.